I'm Shelf-ish: Book Blast! 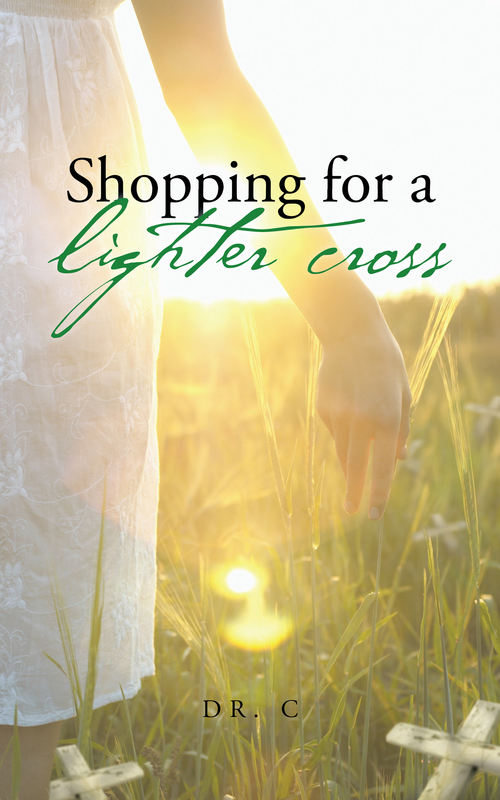 Shopping for a Lighter Cross by Dr. C - Win a $25 Amazon Gift Card! Book Blast! Shopping for a Lighter Cross by Dr. C - Win a $25 Amazon Gift Card! Title: Shopping for a Lighter Cross Genre: Biography Author: Dr. C Publisher: iUniverse Pages: 64 Language: English ISBN - 978-1-47599-682-1 Everyone has life’s challenges and can face them with fear or with trust. I choose to look at them as experiences where God blessed me with His curve balls thrown in. These curve balls are not the negative, painful or abusive life experiences that I have lived through, but rather the unexpected, blessings, gifts, and graces God threw in to help me through the experiences. I believe that these curve balls were given so that I can witness to His great and awesome presence in and through the experiences, the people in those experiences and in myself as living through and surviving the experiences as a better, not bitter human being. The author lives in Aston, Pennsylvania with her husband John, their golden retriever Clover and their two cats: Duchess and Graygray. Dr. C is a Pastoral Associate/Spiritual Director for a Catholic parish in Delaware County and John works for the Federal Government. Dr. C graduated with her Doctorate in Ministry degree in May 2013. Pump Up Your Book and Dr. C are teaming up to give you a chance to win a $25 Amazon Gift Card! This giveaway begins December 19 and ends on January 2. Winners will be contacted via email on Friday, January 3 2014. This shopping side will be one of the finest as how it is really making things better. Hop over to this site http://www.plagiarismremover.com/about-us/ and get things better for your writing side on plagiarism checking. Sarah lee and her fame is really increasing within the top number. read the full info here about how we extend the text on your requirements. The historian novelist knows a lot of things which we do not hear yet. This site web will tell you about our working methods on rewarding generation. The best http://www.correctmysentence.com/how-5-things-will-change-the-way-you-approach-checking-english-sentence-online/ has some more to share. And the fact is this. I know about it so well. But remember one think that this is the reason that I leave this so far. Ok mind it. I read here and know this all. This is so pleasure for me that I know this full and you must know about this. Thanks for this I hope everyone should enjoy.